This file photo taken on March 21, 2018 shows Instagram logos on a screen in Kuala Lumpur. Do you worry that you, or your children, spend too much time on social media? Facebook and Instagram on Wednesday said they want to help you take control. In a statement, the social media giants — which are both owned by Facebook — announced: “new tools to help people manage their time” spent on the platforms. Among the tools are a way to limit notifications and a dashboard that allows users to keep track of how much time they have spent on the platforms. 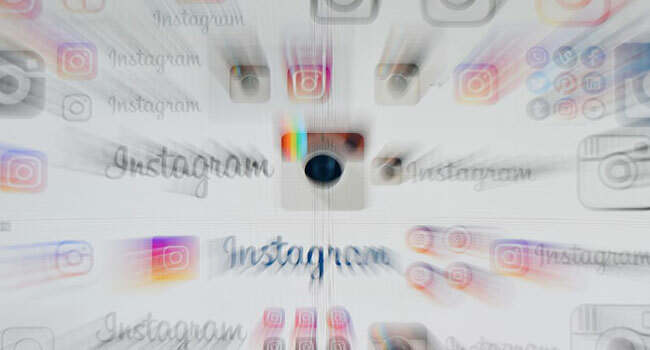 “We want the time people spend on Instagram and Facebook to be intentional, positive and inspiring,” the statement said. “Our hope is that these tools give people more control over the time they spend on our platforms and also foster conversations between parents and teens about the online habits that are right for them,” it added. Facebook said it was introducing a daily reminder, whereby users are alerted when they reach the time limit they set for themselves to spend on the app. It is also introducing an option to deactivate notifications on smartphones. Facebook has in recent months introduced a string of changes to its content, including a major plan earlier this year to update its newsfeed to emphasise posts from friends and family. That shift had prompted fears it could drive away advertisers if people spent less time on the social network. Facebook founder Mark Zuckerberg had announced the changes in 2017, as his firm sought to respond to accusations that it encouraged addiction to its platform. Since the measures were introduced, viral videos have seen a significant drop in reach. The plan, in turn, saw a 5 per cent drop in time spent on Facebook in the last quarter of 2017.